Does anything about this photo strike you as odd? 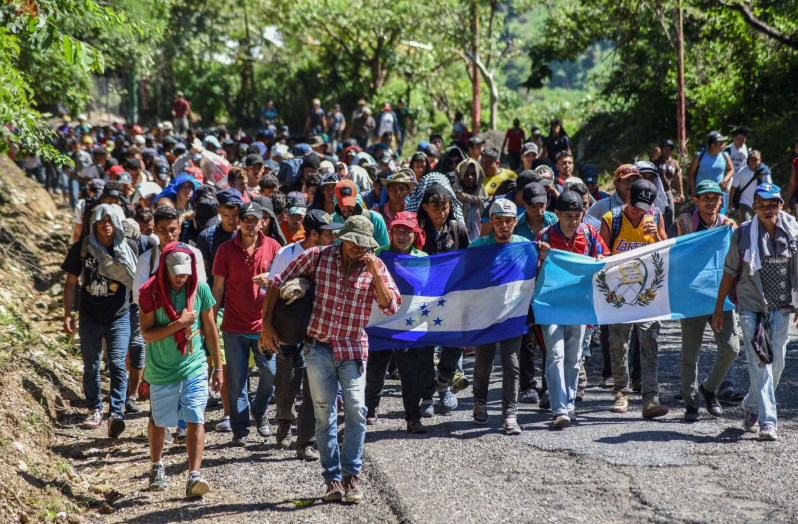 Below is a picture of the caravan that’s moving from Honduras and Guatemala to the thru Mexico to the U.S. border. Does anything in the photo strike you as odd?